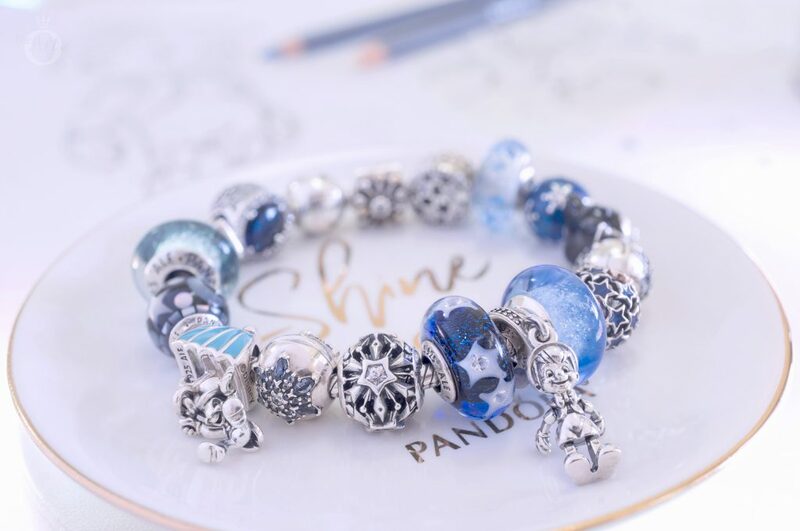 Looking back over the last few months it is easy to see that 2018 has been a fantastic year for PANDORA Disney fans! Besides cute Mickey and Minnie charms, PANDORA have also produced some delightful new characters. 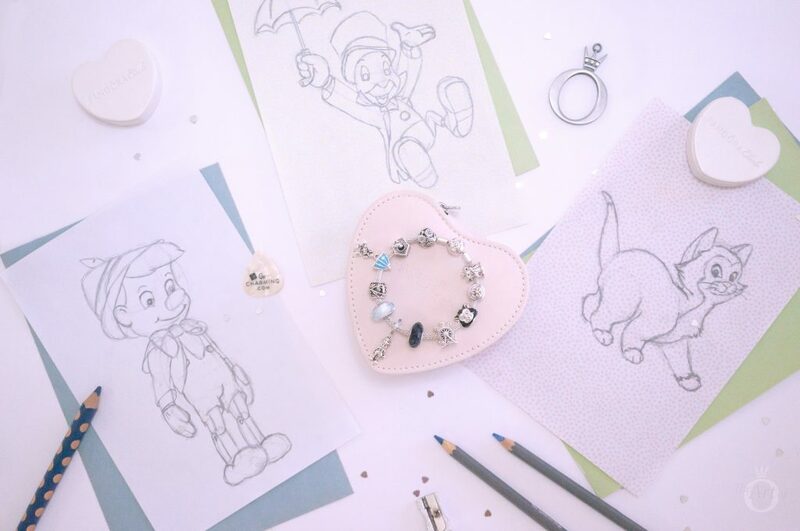 Such as the PANDORA Disney Pinocchio, Jiminy Cricket and Figaro charms from the PANDORA Autumn 2018 collection which were absolute must haves for me. 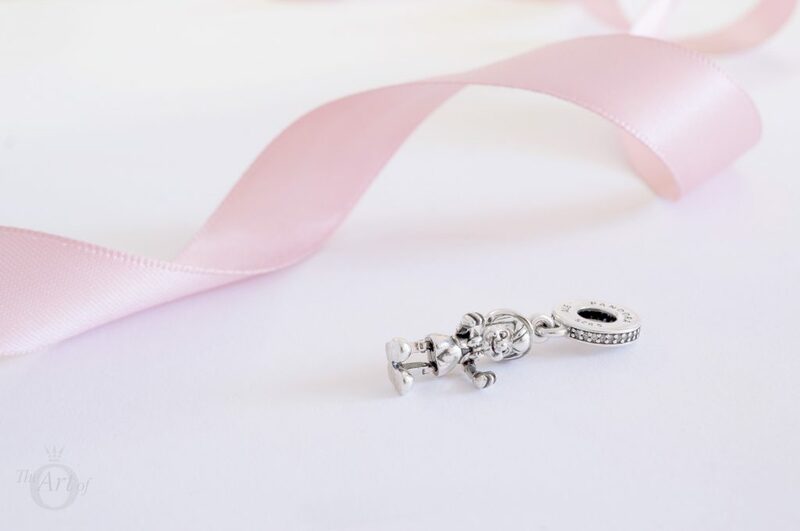 In this review I will provide a detailed look at the PANDORA Disney Pinocchio Pendant Charm (797489CZ), Jiminy Cricket Pendant Charm (797492EN41) and Figaro Portrait Charm (797488EN16), as I will mostly wear the three charms together. 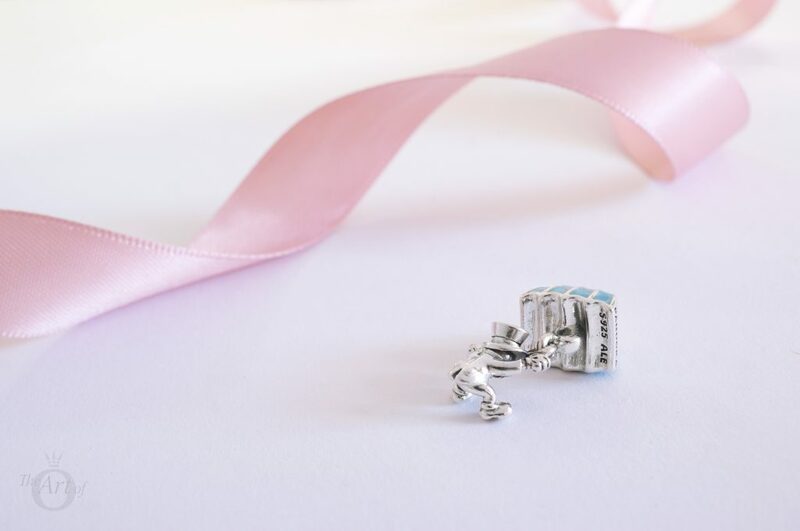 When I first saw the PANDORA Disney Pinocchio Pendant Charm (797489CZ) in real life, I was amazed at the incredible detail! Dressed in a little shirt and smart shorts Pinocchio looks every inch (or milimetre) of the little boy he dreams of being. Subtle oxidisation highlights his outfit beautifully, especially his darling bow tie and cute chunky shoe. PANDORA have captured Pinocchio perfectly, right down to his bright eyes, inquisitive expression and dinky feathered cap. 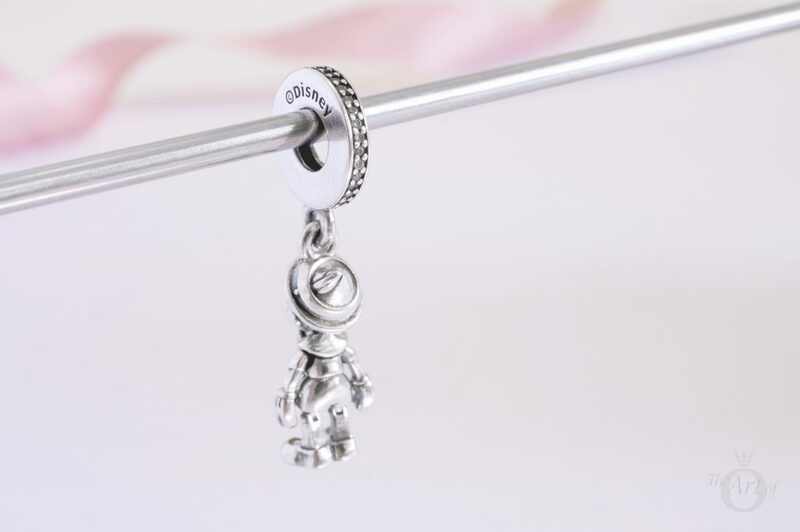 The standard PANDORA hallmarks are stamped on either side of the bale on the Pinocchio Pendant Charm. One side features the ‘©Disney’ mark and the other side is engraved with ‘PANDORA’ and ‘S925 ALE’. Clear cubic zirconia stones are set into the slim bale providing a magical sparkle. 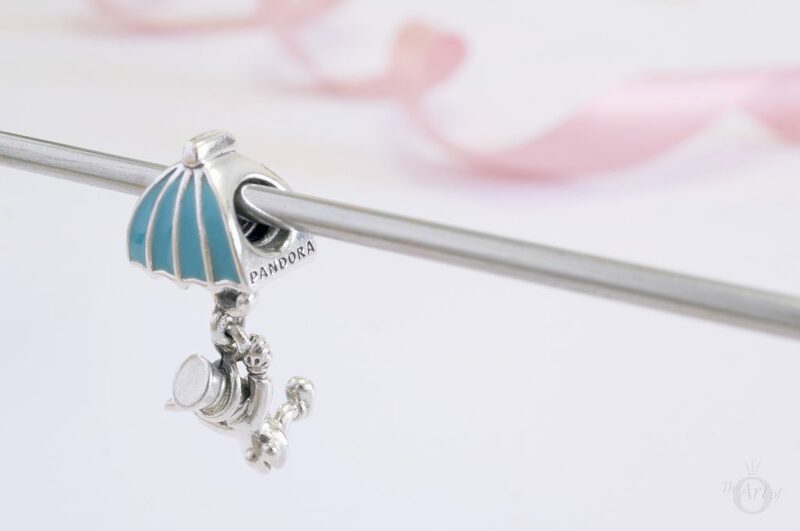 Another wonderful element to the PANDORA Disney Pinocchio Pendant Charm is that it moves! Just like a real boy! Well… not quite, but it is still quite fun to move Pinocchio’s tiny limbs and pretend to be a puppeteer. Both of Pinocchio’s arms are linked together inside his body and move in sync. His little legs are joined together at the feet and swing from a hinge at his knees. On exploring the Pinocchio Pendant Charm, I noticed that Pinocchio also wears the same style of gloves as Mickey Mouse. In Mickey’s debut, ‘Steamboat Willie’ on 18th November 1928, he was actually gloveless. His now iconic white gloves first appeared a year later in Disney’s ‘The Opry House’. 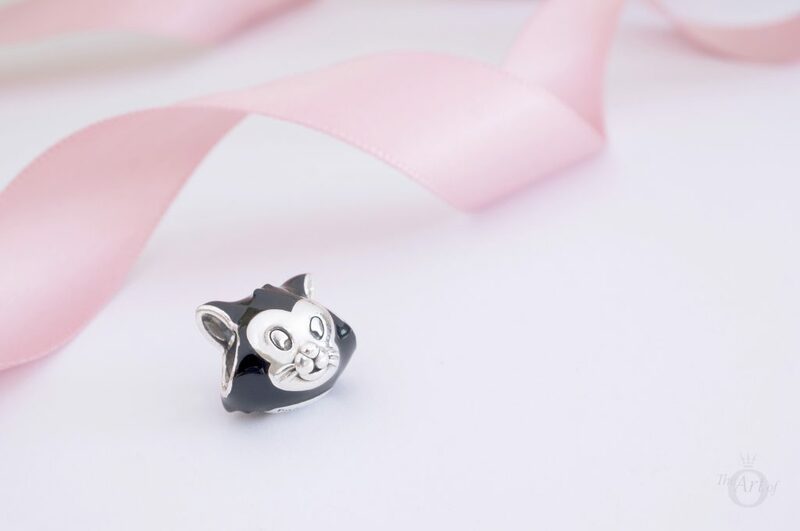 Despite being a confirmed cat lady, the PANDORA Disney Figaro Portrait Charm (797488EN16) is actually my first PANDORA cat charm! Previous cat charms have not been pretty enough to tempt me, but it was impossible to resist Figaro’s sweet little face. Glossy black enamel depicts Figaro’s handsome markings around his fluffy white face. Unfortunately, as a large percent of the charm is coated with enamel, the hallmark is very conspicuous. My preference would be to engrave the ‘PANDORA S925 ALE’ and ‘©Disney’ marks inside Figaro’s ears, which would be more discreet. However that is the only area I believe the Figaro Portrait Charm could be improved. 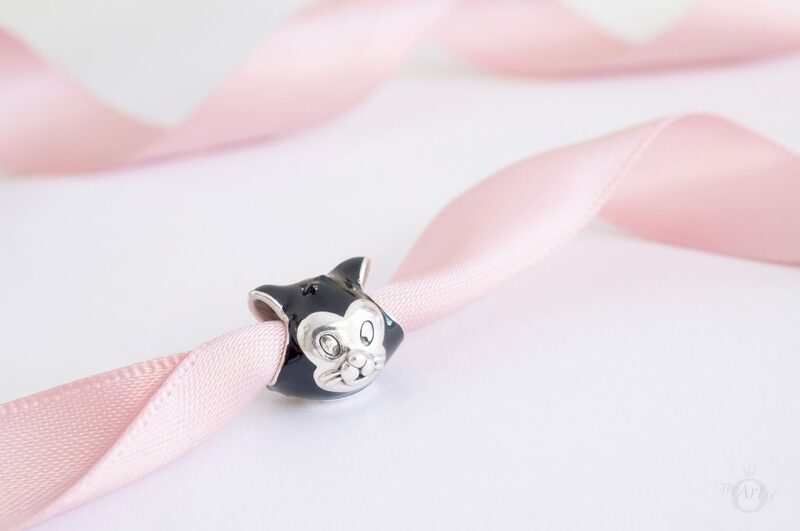 Like all cats, Figaro is a curious kitty and the PANDORA Disney Figaro Portrait Charm captures his personality perfectly. Displaying a look of confusion, his oxidised eyes are open wide, while his muzzle and whiskers are slightly raised. 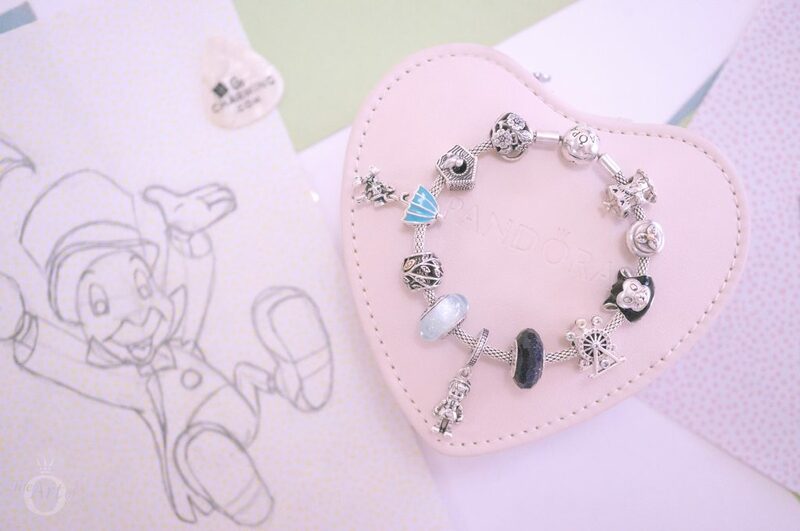 The PANDORA Disney Figaro Portrait Charm is quite large and has a nice amount of weight to it. Besides the small tuffs of fur and Figaro’s pointy ears, the charm has a wide oval shape. In fact it is much wider than the Winnie-the-Pooh Portrait (791566) charm. 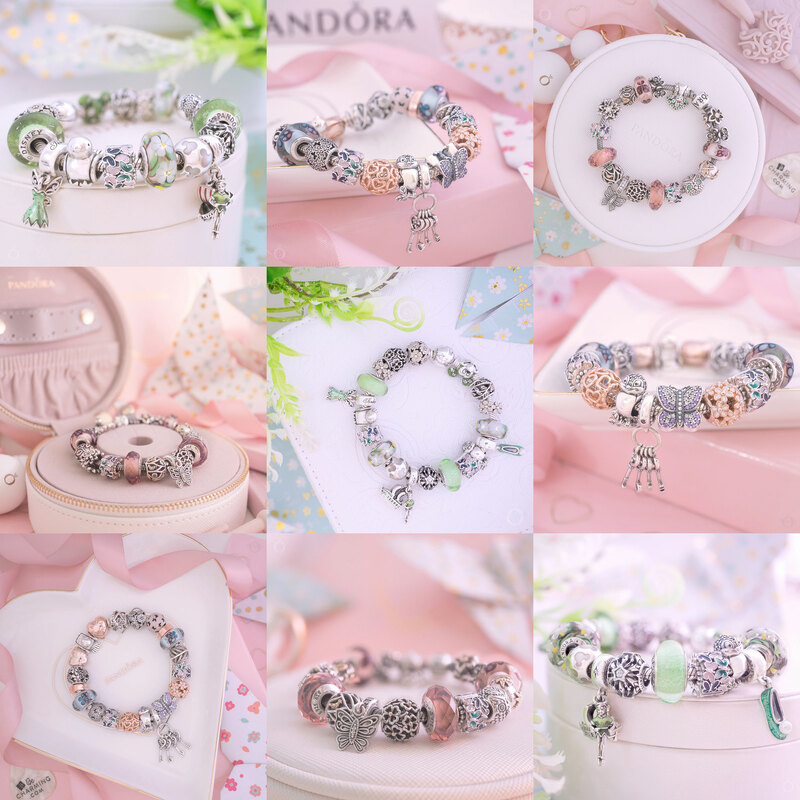 Recently PANDORA have produced many charms without a threaded core. 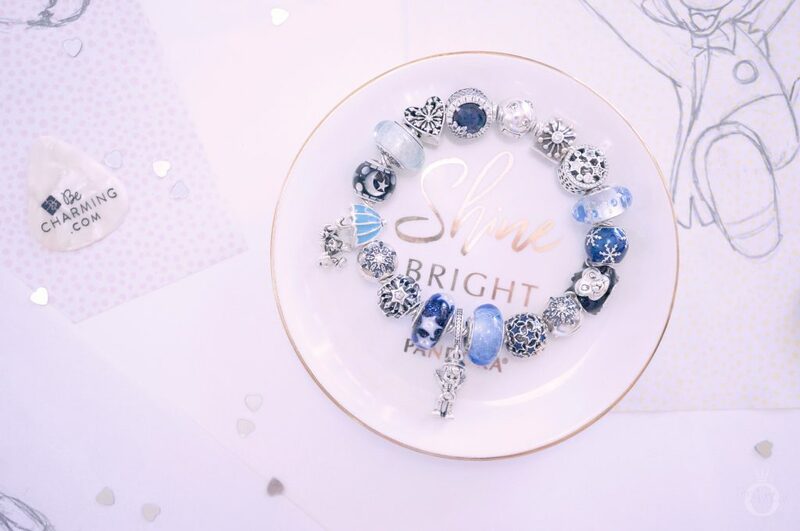 Although charms with a smooth core can be placed on a bracelet easily, they can also slip off quickly if you are not careful. 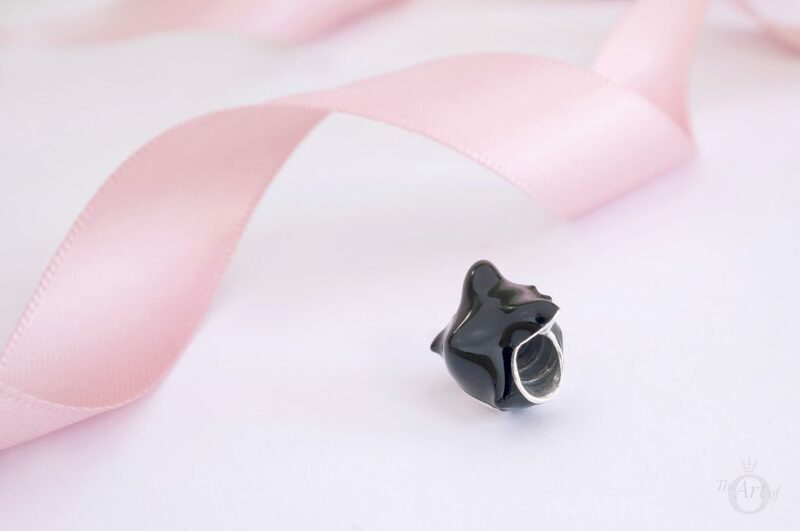 Hence I was pleased to discover that the PANDORA Disney Figaro Portrait Charm has a threaded core. As a child I dreamt of having Jiminy Cricket as a friend to guide me. 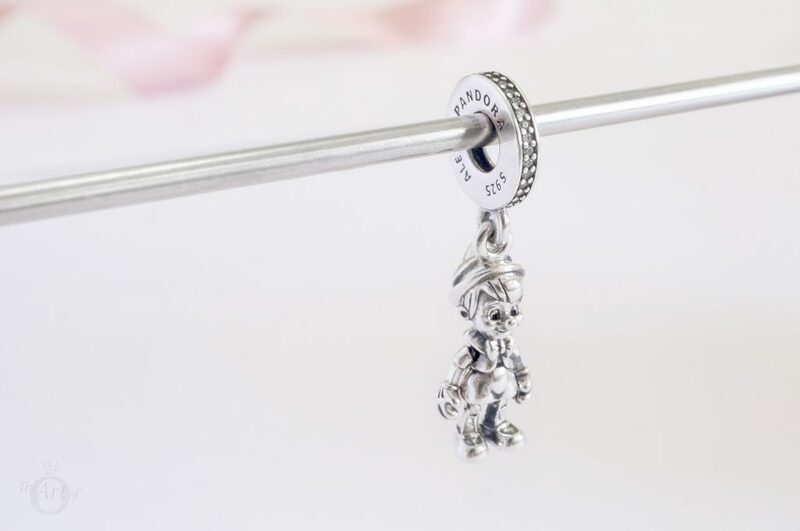 My wish came true when the PANDORA Disney Jiminy Cricket Pendant Charm (797492EN41) was released in the Autumn! Ever the gentleman, Jiminy is exquisitely dressed in top hat and tails. Notice too that he is also wearing Mickey style gloves on his outstretched hands! 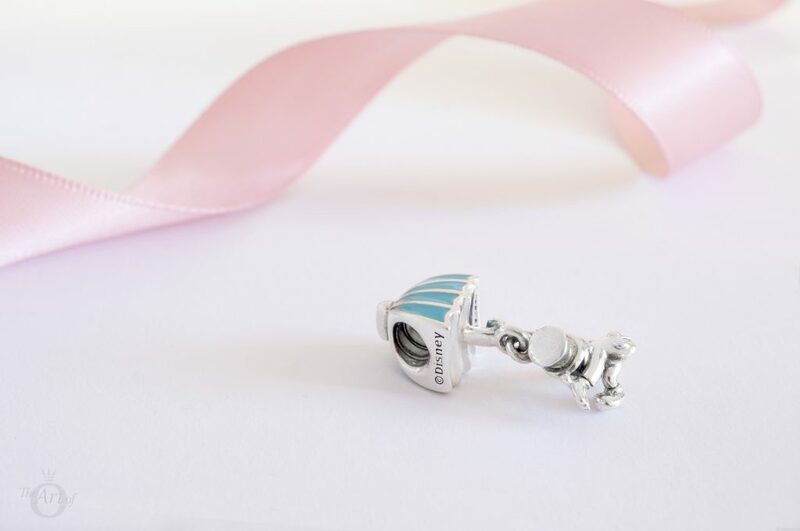 The Jiminy Cricket Charm is new style pendant charm for PANDORA. Instead of a slender bale with the charm hanging beneath, the umbrella doubles as a bale with Jiminy gripping the handle. Interestingly, a striking blue enamel decorates the umbrella. Despite Jiminy holding a burgundy coloured umbrella and wearing a bright blue hat in the Disney classic. As I don’t like red I am quite pleased about this discrepancy. 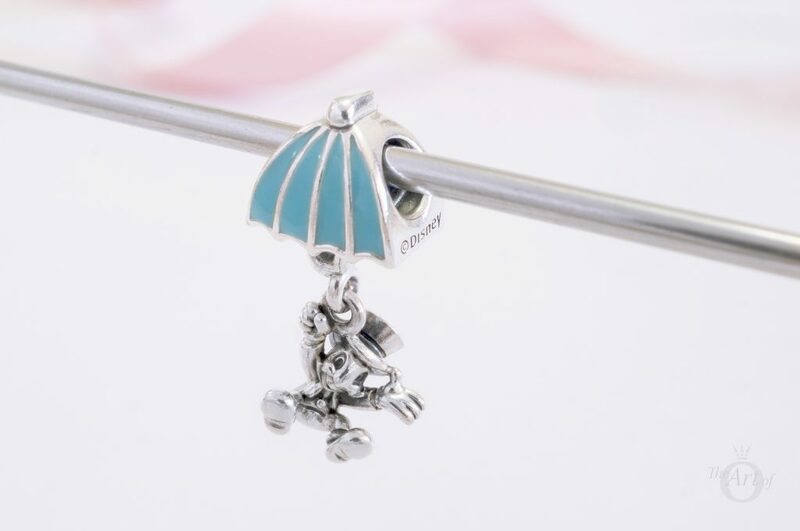 Although Jiminy is quite petite, there is still a good amount of silver on the PANDORA Disney Jiminy Cricket Pendant Charm due to the umbrella shaped bale. The standard ‘PANDORA’ hallmark is engraved on one side of the umbrella and ‘S925 ALE’ is stamped beneath. 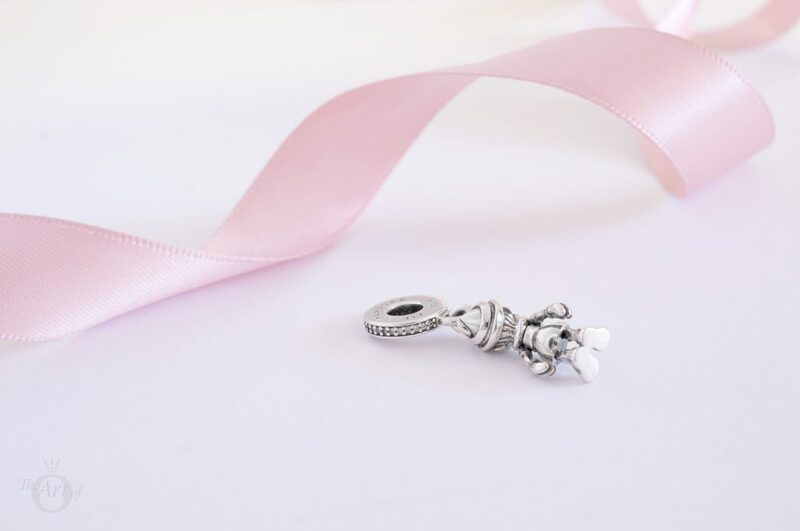 Happily, the PANDORA Disney Jiminy Cricket Pendant Charm also has a threaded centre. The ‘©Disney’ hallmark is engraved on the side of the umbrella. Geppetto: Say hello to Figaro. Pinocchio: Hello to Figaro. If your heart is in your dream no request is too extreme. All three stylings of the PANDORA Disney Pinocchio, Figaro and Jiminy Cricket charms are inspired by songs from Walt Disney’s Pinocchio. The first styling, ‘Wish Upon A Star’, is ideal for the Winter with its cool blue tones and sparkling snowflakes. Nestled either side of the lead character are the Starry Night Sky (791662CZ) and Cinderella’s Signature Colour Murano (791640) charms. Magical stars shimmer within the retired Disney Frozen Snowflakes (791563CZ) and Night Sky (791371CZ) charms, reminiscent of the Blue Fairy who turned Pinocchio into a real boy. Jiminy Cricket and Figaro sit on opposite sides of the PANDORA Disney Moments Mickey Bracelet (590731CZ) beside the mesmerising Crystallised Snowflake Clips (791997NMB). A stunning starburst is created from the two tone Desert Star (790188CZ) and Illuminating Stars (796373CZ) charms while a luminous moon glows on the Celestial Mosaic (796400MMB) charm. Read our review of the Starry Night Sky Murano for more Wintry themed designs. Yep, temptations. They’re the wrong things that seem right at the time, but, uh… even though the right things may seem wrong sometimes, or sometimes the wrong things, may be right at the wrong time, or visa versa. You see, Pinocchio, a lie keeps growing and growing until it’s as clear as the nose on your face. The PANDORA Open Bangle (596477) is perfect for this fun styling and the PANDORA Disney Pinocchio Pendant dances sweetly in the centre. On one side of him the spectacular Celestial Mosaic (796400MMB) charm provides balance to the Figaro’s dark enamel coat and its pearlescent stars lend a magical air. Pinocchio’s loyal friend Jiminy Cricket flies alongside him trying to guide him on his adventures. 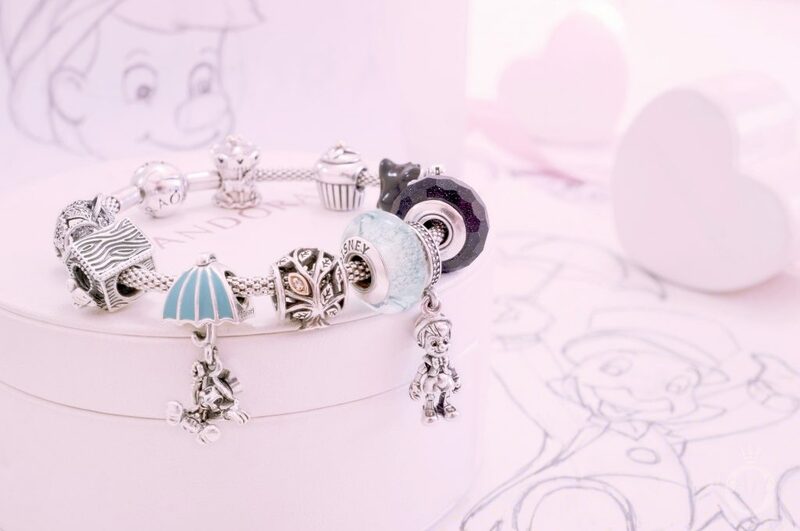 The Blue Fairy’s warning for Pinocchio to use his freedom for good is echoed in the message ‘More Love’ on the 2018 PANDORA Club Charm (796602D/B800776). Finally, the Climbing Mickey Safety Chain (797173CZR) playfully mimics the puppet strings which no longer have a hold on Pinocchio! 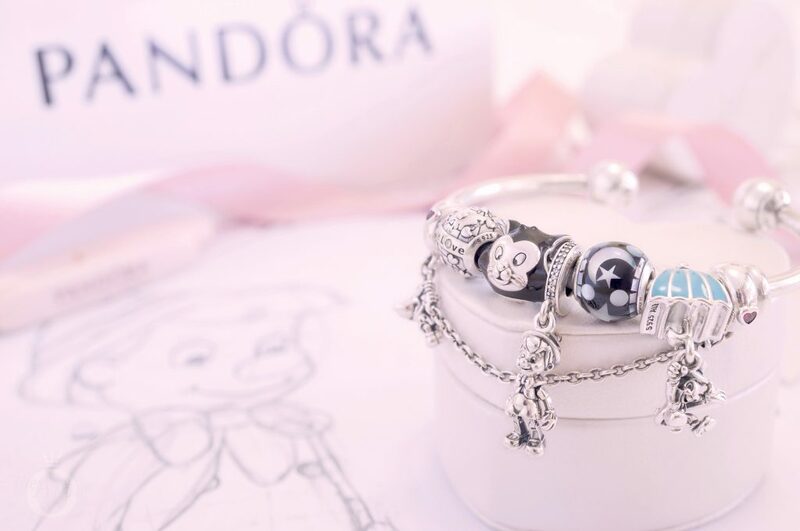 Read our review of the PANDORA Disney Climbing Mickey Safety Chain for more styling inspiration. 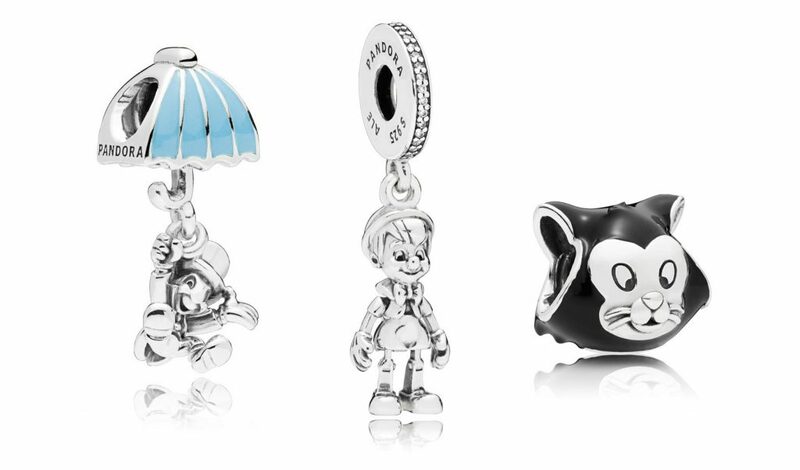 The final design with the PANDORA Disney Pinocchio, Fiagaro and Jiminy Cricket charms relates to the song ‘Give A Little Whistle’. As Pinocchio begins exploring life without strings the idea of freedom is provided with the PANDORA Mesh Bracelet (596543). Positioned at the centre of the bracelet Pinocchio is free to decide which path will he follow. Good is represented with the pure looking Elsa’s Signature Colour Murano (791644), whereas bad and the ‘dark side’ is symbolised with the magnificent Fascinating Adventurescent Stardust (791628) Murano charm. Both sides of the bracelet tell a story of what Pinocchio could enjoy on each path. Figaro is trying to tempt Pinocchio with forbidden fun at Pleasure Island. 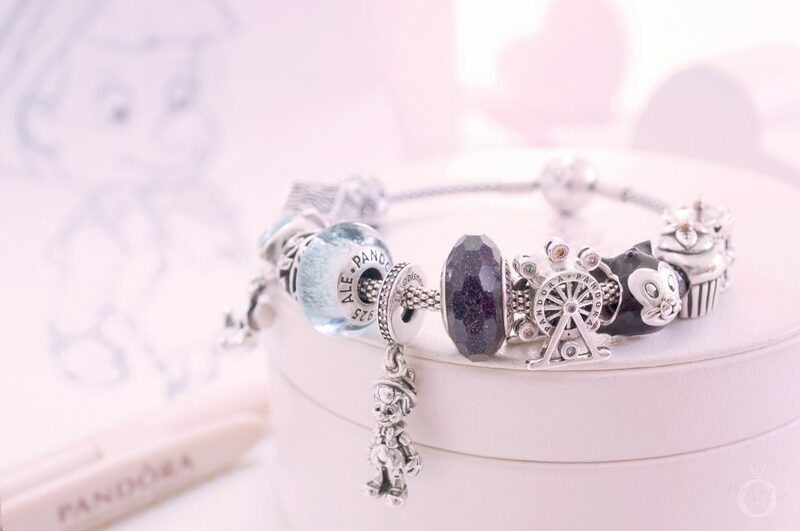 Play all day on the Ferris Wheel (797199NLCMX) and PANDORA Disney Parks Carousel charms. Plus no rules or adults means you can eat as much Cupcake (790417) as you want! 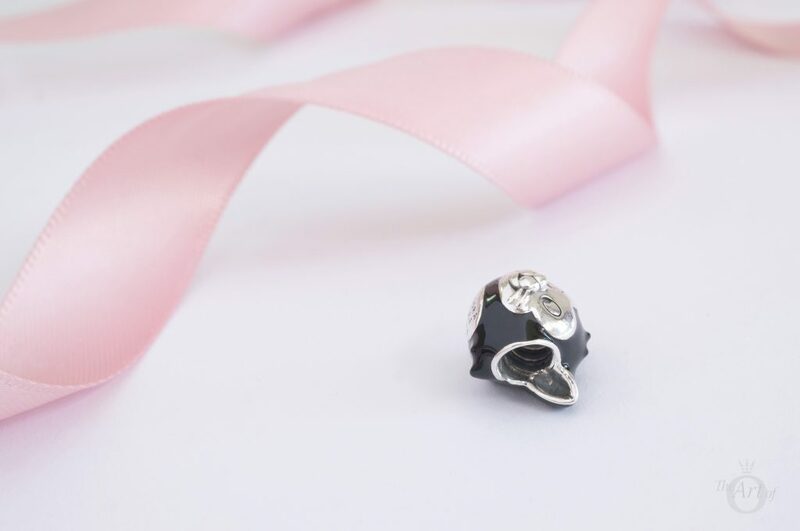 On the good side, Jiminy Cricket promises a family tree with the Tumbling Leaves (791205CZ) and love to keep you safe in the Floral Heart Padlock (791397) charms. 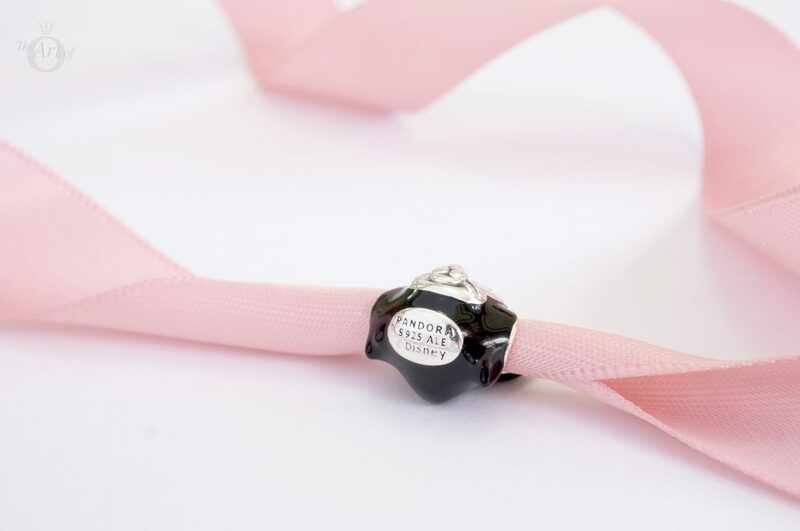 Assurance of a loving home is illustrated with the Spring Bird House (797045) charm. If you are looking for the perfect gift for a Frozen fan, Elsa’s Signature Colour Murano is just £19 in the UK PANDORA eStore outlet and Elsa’s Dress Pendant is £30. While writing this review I enjoyed sketching Pinocchio, Figaro and Jiminy Cricket. Fancy a go? Use these simple tutorials to learn how to draw the three characters: Pinocchio, Figaro and Jiminy Cricket. 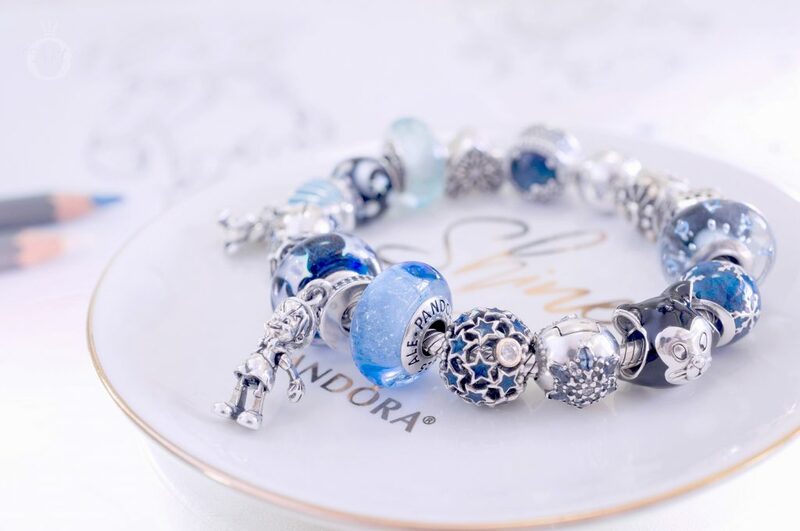 Post your pictures on Instagram along with your PANDORA bracelets along with #PANDORAart, there might even be a prize! 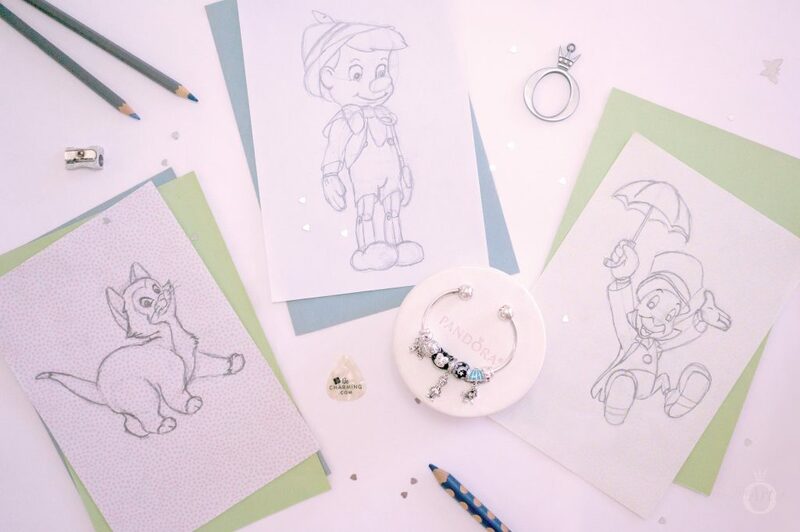 My verdict on the PANDORA Pinocchio, Figaro and Jiminy Cricket charms? I'm not gonna lie... they're a dream come true! These three gorgeous charms deserve full marks from me! PANDORA merit 10/10 for incredible design and the moveable parts add to the wow factor. All three charms are reasonably priced with their stone and enamel details. They are also very versatile and the Pinocchio and Jiminy Cricket charms look beautiful worn as a necklace pendant. I fully recommend this wonderful trio! In the UK the PANDORA Disney Pinocchio Pendant Charm (797489CZ) and PANDORA Disney Jiminy Cricket Pendant Charm (797492EN41) are both £55 and the PANDORA Disney Figaro Portrait Charm (797488EN16) is £45. All three are available from the PANDORA UK eStore. Such perfect timing! I’m in the mood to watch Pinocchio again after reading your comment. Thank you for sharing your ideas and have a wonderful week too! Thank you so much for your kind comment. 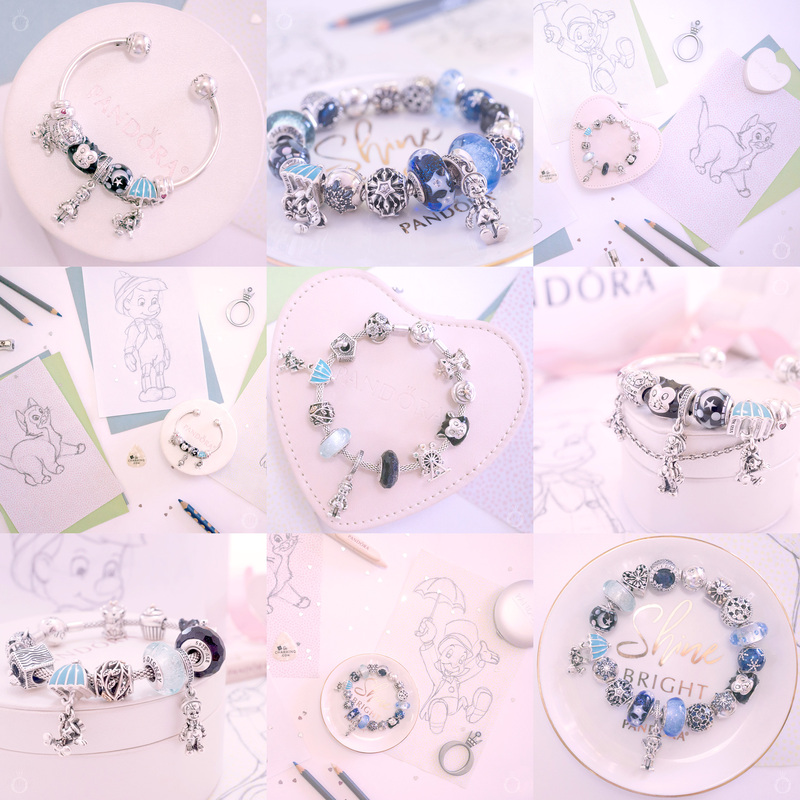 I’m happy you enjoyed the review and fully recommend PANDORA Pinocchio charms. It really has been an amazing year for PANDORAxDisney and I can’t wait to see what 2019 brings! Oh my worlds! As if planning my wish list wasn’t difficult enough with these beauties being thrown into the mix lol. They are gorgeous aren’t they?! It is a great time to purchase them as you can receive a 25% off over the next few days for Black Friday. I look forward to hearing how you end up styling them. 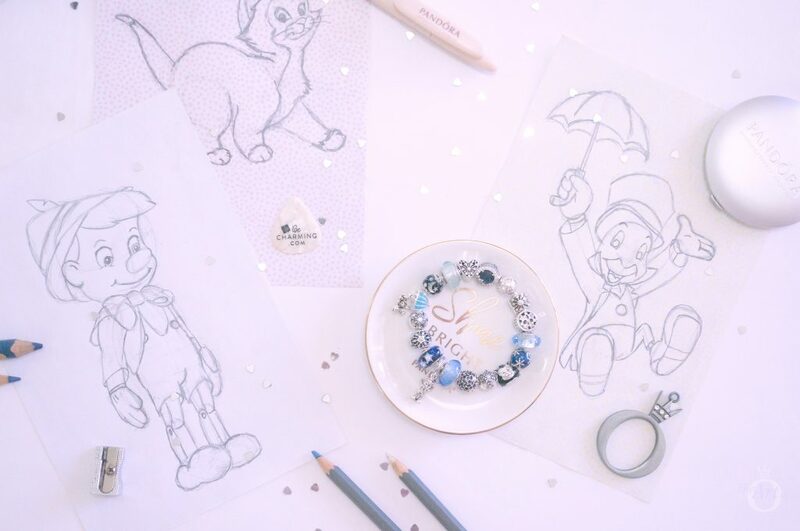 I loved seeing how you styled your Pinocchio trio!!! They are such adorable charms. Lovely photos capturing the details and creativity! Thank you for your sweet comment. I enjoyed writing the review and drawing the pictures. I’d love to see your drawings too!